1. Cut the pork fat into 1-inch cubes. 2. Place into slow-cooker or into dutch oven. 3. If using slow-cooker, turn on high. DO NOT cover with the lid. This allows the water to evaporate out of the fat instead of collecting on the lid and dripping back into the fat. If using a dutch oven on the stove, turn heat to medium. DO NOT cover with a lid. 4. Check on the fat often, giving it a stir if you desire. The fat will begin to melt into a clear liquid. Continue to melt the fat down for up to 8 hours. 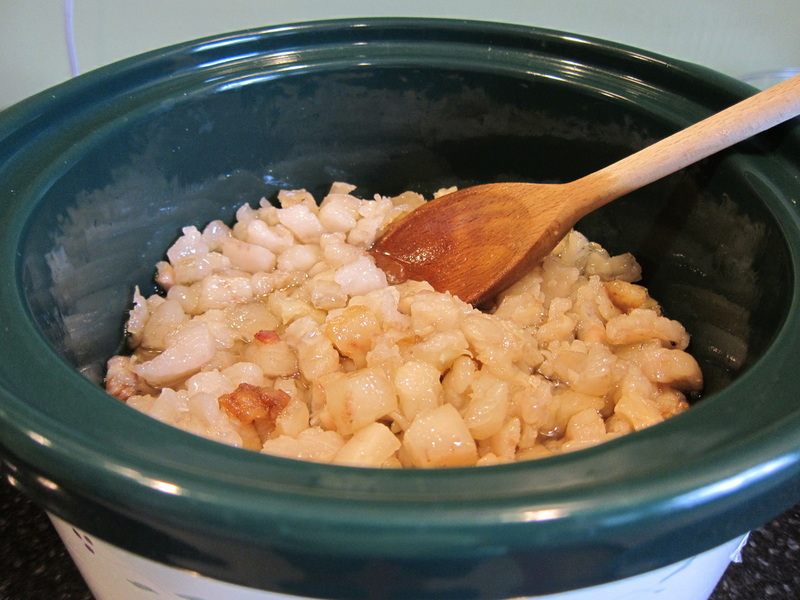 It's important not to let the fat cook for too long or else the lard will take on a pork flavor, so if you start to smell the fat cooking, it's time to take it off the heat. Or if the fat is turning brown, like it's being deep-fried, then it's time to take it off the heat, too. 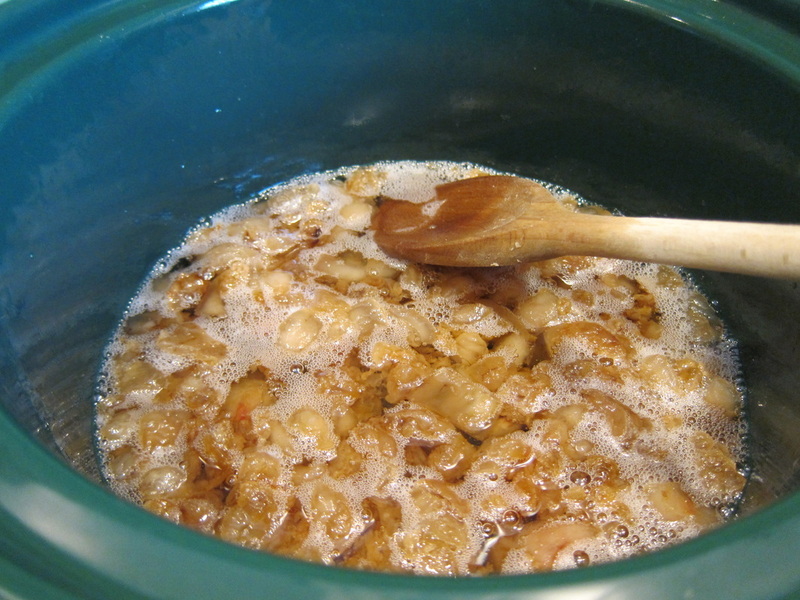 Ideally, you want to take strain the fat before you get any browning or pork flavors. 5. Place a few layers of cheesecloth over a strainer (inside a funnel works great) and position that over your desired storage container -- in my case, a mason jar. Pour the melted fat through the cheesecloth. Let it set at room temperature to cool off before refrigerating. 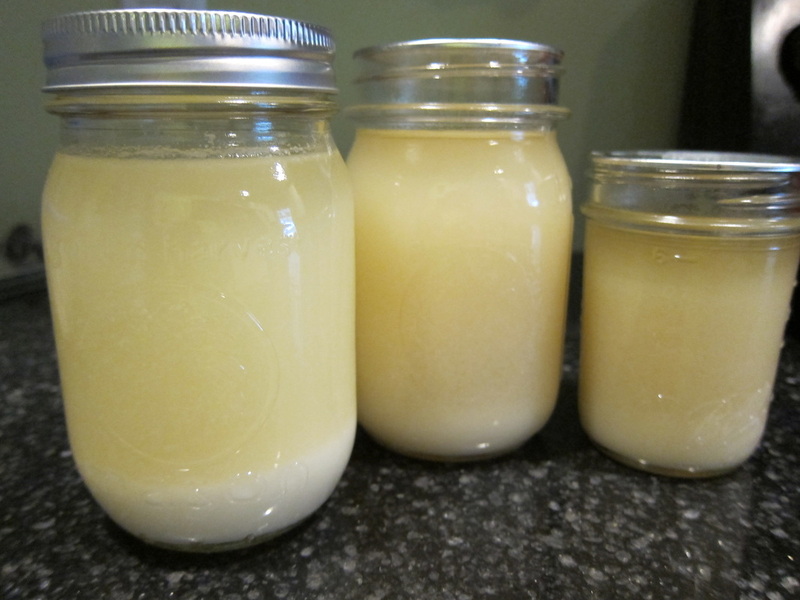 As the lard cools, it will become opaque and then solidify into a creamy white color -- a thing of beauty. *Many people keep lard at room temperature, but I feel more comfortable putting it in the refrigerator (or freezer for long-term storage). Here's the final product cooling on the counter before being refrigerated. Notice the bottom has begun to solidify and become more opaque. After being completely cooled, these jars turned a creamy white color.